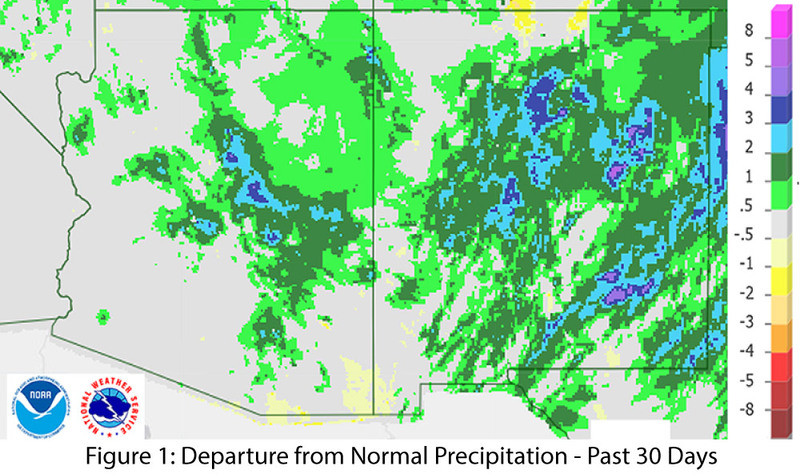 Precipitation: Over the past 30 days, much of Arizona and most of New Mexico recorded above-average precipitation (Fig. 1), as a number of storm systems brought moisture into the region. 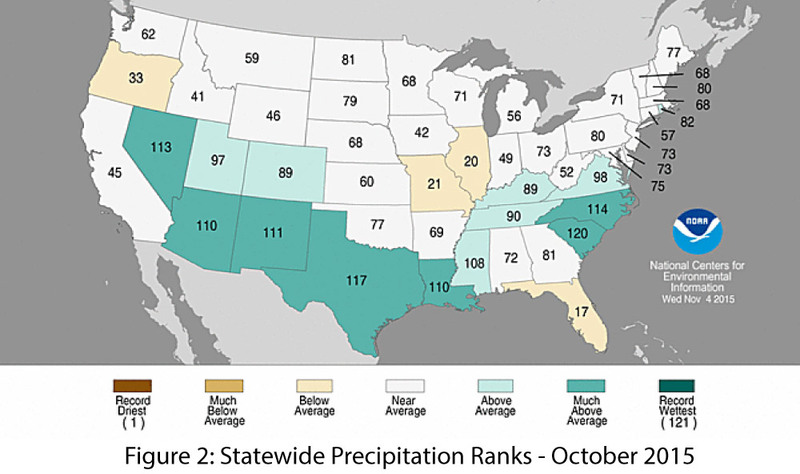 October rainfall was well above average across most of the southwestern U.S., with top 10 precipitation totals in Texas, New Mexico, and Nevada, and top 15 precipitation totals in Arizona (Fig. 2). 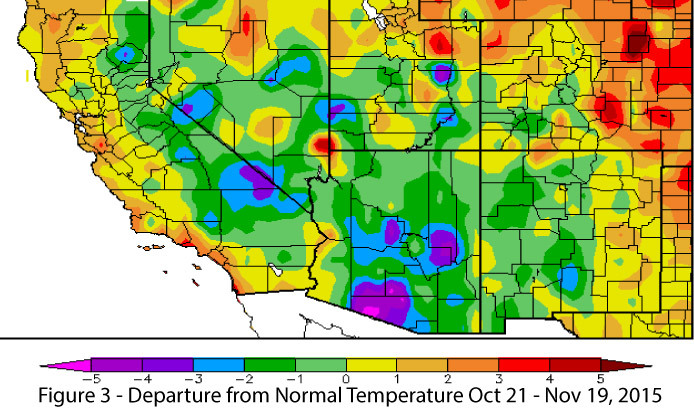 November rainfall has been varied, with a mix of above and below-average precipitation. Following the Gorkha earthquake in April 2015, many able farmers in the hard-hit Nuwakot district came together and repaired the damaged irrigational canals. They contributed labor and financial resources and where necessary procured additional funding from government institutions. Though some systems could not be repaired immediately due to lack of human and financial resources, the farmers demonstrated the power of collective action in responding to national disasters. As both a poet and a geographer, I think a lot about the work that poems like this do. Can poets and artists help us find ways forward in a changing world? Residents of the Intermountain Southwest are accustomed to hot temperatures. More than 90 percent of households in Arizona use air conditioning, which accounts for a quarter of the energy consumed in homes: more than four times the national average (U.S. Energy Information Administration). Now imagine a scenario: It’s June, temperatures are normally over 100 degrees F, but a persistent heat wave causes temperatures to soar over 120 degrees F for several days in a row, with nighttime low temperatures at or near 100°F. Everyone is using their A/C, which overloads the system and results in an extended power outage. Now, not only is it scorching, but without power residents have no way to cool off in their homes. What’s more, the lack of power knocks out the wastewater treatment plant, and now residents lack potable water as well. You may be thinking that this scenario is highly unlikely, and you’re right. But what if? What if over three million people in the Phoenix metro area lost power during a desiccating pre-monsoon heat wave? Or, what if this situation occurred in Las Vegas, where, in addition to a million residents, there are tourists who are unaccustomed to the heat? How do we plan for something like this? How do we manage the cascade of impacts?